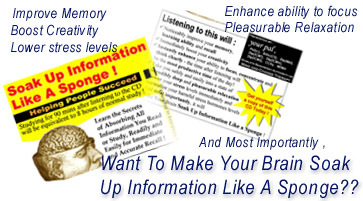 The long awaited release of the MP3 program called Soak Up Information like a Sponge !is finally here! This MP3 helps you program yourself for success and you will remember any information you read, see, hear about or receive in any format. It is great for students and also working adults alike. In today's information age, we need all the help that we can get to excel in this area. Instead of trying to cram more information into your overfilled, overtired brain, why not lie back and let your brain do the work foryou ? Studying for 90 mins after listening to the MP3 will be equivalent to 8 hours of normal study! And most importantly, it will Make Your Brain Soak Up Information Like aSponge ! It is a long awaited product that should be in every home, office and school. The normal selling price is said to be going up to US$199 soon, but if you get your copy now, you will pay onlyUS$95.95, saving yourself nearly half thecost !!! So why wait? Get a copy for yourself and your loved ones and make the best out of your brain andexcel ! How else can you get effective study done in 90 mins when you used to spend 8 hours doing itearlier ? Get your MP3 now! Limited sets are available for this release. Visitors to the National Library Book Fair 'soak up' release of new, amazing MP3, ' Soak Up Information Like A Sponge'. New self help MP3 release Sold Out in 3 days ! The crowd just went crazy at booth 21 of the Singapore Expo hall last week. They all wanted to get their hands on the limited edition release of the MP3 that can help transform the brain into a sponge and helps to improve one' s memory, learning ability and recall. Ms. Anita who was one of the first few to getherself a copy said, 'It is very relaxing and I am feeling very good now. ' She is awaiting her 'O' level results and wished she had a copy of it a few months ago while she was studying for her exams. She felt that it would have allowed her to sail through easily and would have helped her get better grades. We spoke to the creator of the MP3, Pal Ji and he mentioned that though each and every single independent use is effective, but to have a permanent effect, a person needs to use it regularly for at least 21 to 28 days. Then a tremendous positive change will be seen and the personwill not only be more creative, less stressed but in general show a progress in all facets of life. If you are interested in becoming a Reseller, click here. We got exciting business opportunities for you in our reseller's program. We have exciting business opportunities for you in our reseller's program. 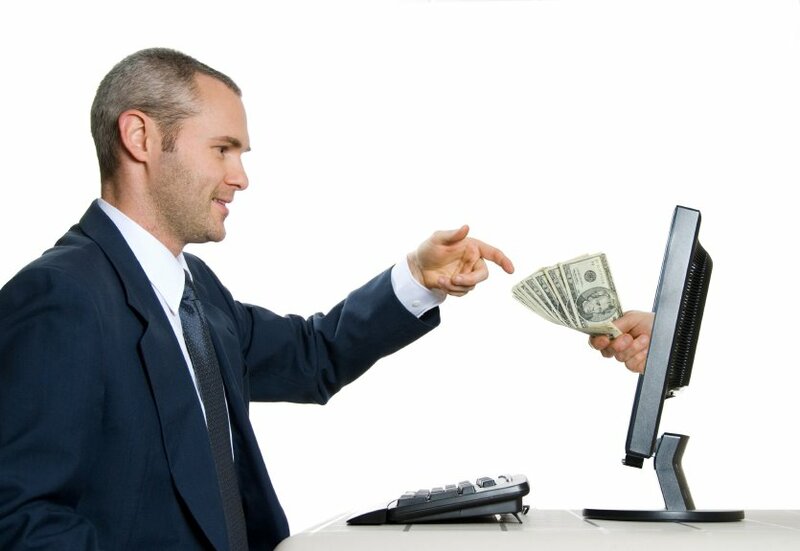 You can prosper and make lots of money with us here! If you are interested in becoming a Reseller, click here. We got exciting business opportunities for you in our reseller's program. To order the MP3,click here:. This information is confidential and intended solely for the use of the individual or entity towhom they are addressed. If you have received this email in error please click here immediately to unsubscribe. This message contains confidential information and is intended only for the individual named. If you are not the named addressee you should not disseminate, distribute or copy this e-mail.